Hit the jump to check out the new image featuring Affleck and Kurylenko in France. The film is set to screen this week at the Toronto Film Festival, so look for Matt’s full review here on Collider soon. To the Wonder is currently awaiting a release date. 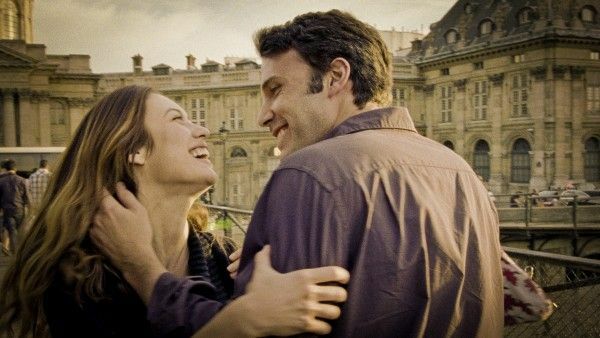 After visiting Mont Saint-Michel — once known in France as the Wonder — at the height of their love, Marina (Olga Kurylenko) and Neil (Ben Affleck) come to Oklahoma, where problems soon arise. Marina makes the acquaintance of a priest and fellow exile (Javier Bardem), who is struggling with his vocation, while Neil renews his ties with a childhood friend, Jane (Rachel McAdams). Written and directed by Terrence Malick, TO THE WONDER is an exploration of love in its many forms.